Cheese flavored snacks, made with real cheese. Frito Lay Good Fun! Still made with all natural oil. 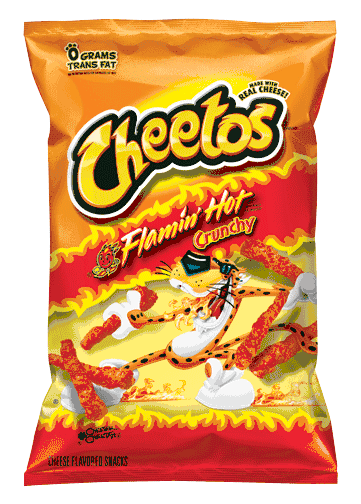 Look for Chester Cheetah in the packaging with a flame and its mouth and holding up the crunchy cheetos. 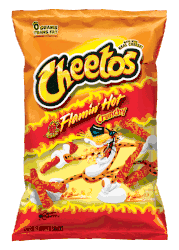 Learn about other Flamin Hot products by Frito Lay.